Pollen is a male germ cell carrying genetic information, and its morphology has strong genetic conservatism. In angiosperms, in addition to the single pollen, there aredyads, tetrads, octads and polyads. In entomophilous plants, polyads ensures that pollinators can carry a larger amount of pollen at one time, increasing the fertilization rate with multiple ovule ovary. 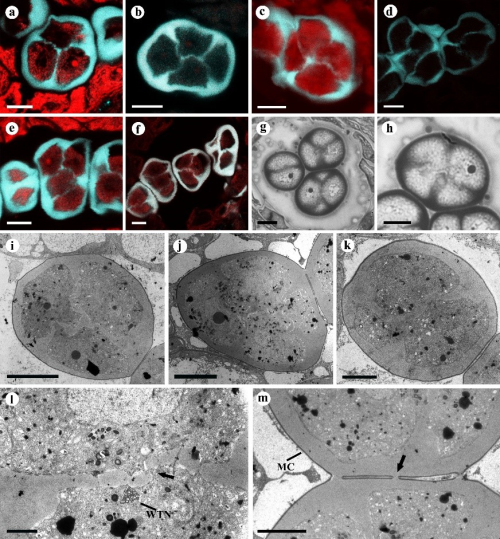 Permanent tetrads are the most common form of pollen aggregation in flowering plants, which evolved many times in the basal angiosperms and has a strong adaptability to the environment. Pseuduvaria trimera was found to have various pollen tetrads, e.g., tetrahedral, tetragonal, rhomboidal, decussate, and T-shaped, even in one anther locule, and has been so far the species with the most abundant pollen tetrad shapes in Annonaceae. Therefore, it is very important for studying the formation mechanism of different types of tetrad pollen. Both successive and intermediate cytokinesis were observed within the same anther in P. trimera. The various types of cytokinesis and cohesion reflect the high diversity in pollen development, which enhances the dramatic variety in pollen morphology in this family. The nucleus location of the microspores together with cytokinesis determine the number and the spatial arrangement of callose plates, and further have an effect on the tetrad types. The anthers with or without septation and the arrangement of microsporocytes might be also related to the tetrad type. Our observations of the development of tetrads provided some new insights for interpreting the factors influencing the types of tetrads at both the morphological and cytological levels. In addition, we reported the existence of a cytoplasmic channel in Annonaceae for the first time. The cytoplasmic channels connect adjacent microspores, sharing a common cytoplasm through the internal wall gaps, which were thought to serve as sites for transport of tapetal nutrients or hormones and maintaining close synchrony between grains within the tetrads. 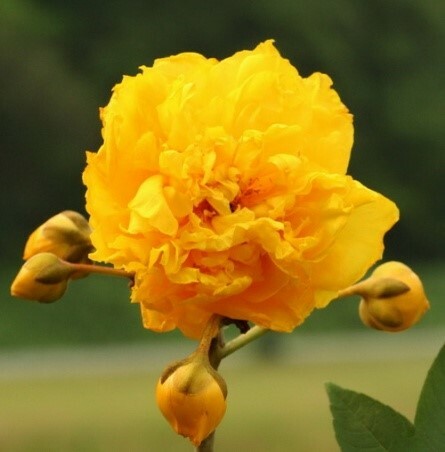 The research work was completed by Mrs. Li Bingxin under the guidance of the professor Xu Fengxia in Plant Science Center, which was financially supported by the National Natural Science Foundation of China (grant number 31270227) and the Science and Technology Project of Guangdong Province (grant number 2017A030303062). The relevant research results have been published online in Protoplasma(https://doi.org/10.1007/s00709-018-1282-5).